People think it’s a compromise. You know, one or the other. Well, at International Window, we don’t believe you should have to sacrifice anything. So, we designed the 6200 Imperial Series – a competitively priced aluminum window that literally redefines quality. We’ve engineered the 6200 Series to reflect a product that is secure, strong and remarkably durable. 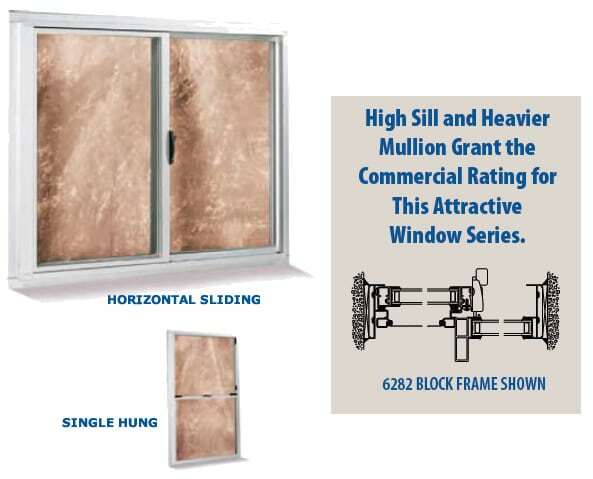 The Series 6200 is available in single hung, horizontal slide, casement, bay, bow and picture window configurations. Our standard dual glazed configuration gives you additional thermal protection, while reducing unwanted outdoor noise. The 6200 COMMERCIAL WINDOW combines a residential look with commercial characteristics. The window meets the C40 rating and is an attractive alternative to the larger profile systems typically installed by glazing contractors.